Make the most of your morning commute with this 16 oz. Metallic Sorbet stainless steel tumbler! This handy travel mug features double-wall construction for insulation of both hot and cold liquids. 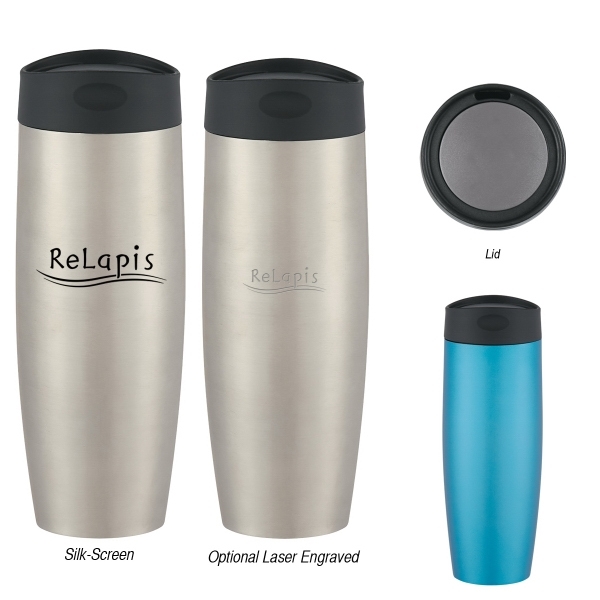 It has a push-button sip-through lid, a spill-resistant alternative that will make drinking on the go so easy. BPA free. Meets FDA requirements. Hand wash recommended. Customize with an imprint of your brand logo to heat up your marketing efforts. Imprint Area: 3" x 2 1/2"; 1 1/2" x 2"